Hi there, I hope you are well and having a good week so far? 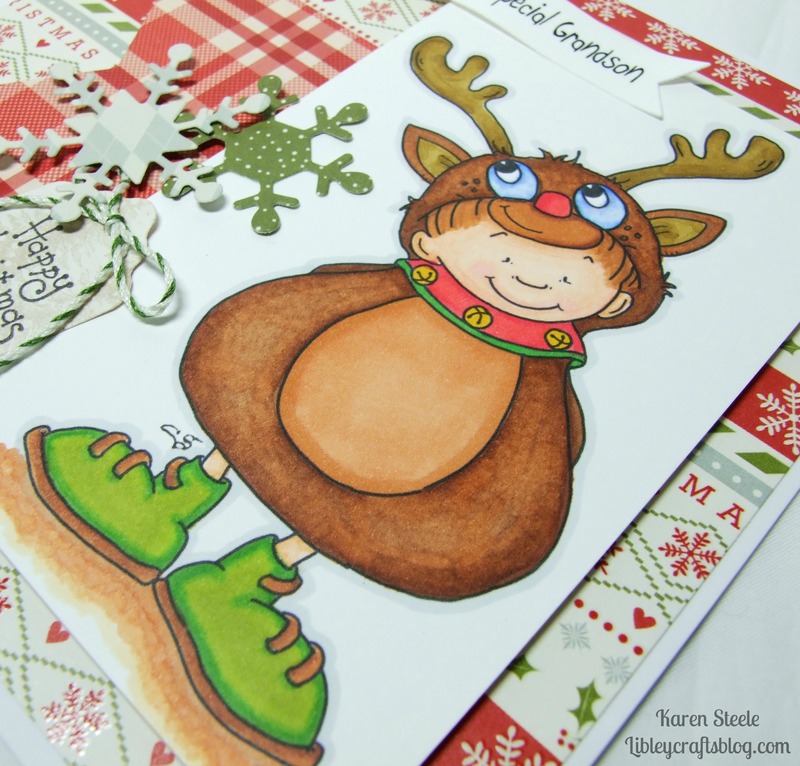 Today I’m sharing a card that I have made using this sweet digi stamp from Sassy Cheryl’s Stamps called Max the Red Nosed Reindeer. This is going to be for my nephew from my parents. I thought this was perfect as my Sister-in-Law loves to dress Harry up in fun costumes! 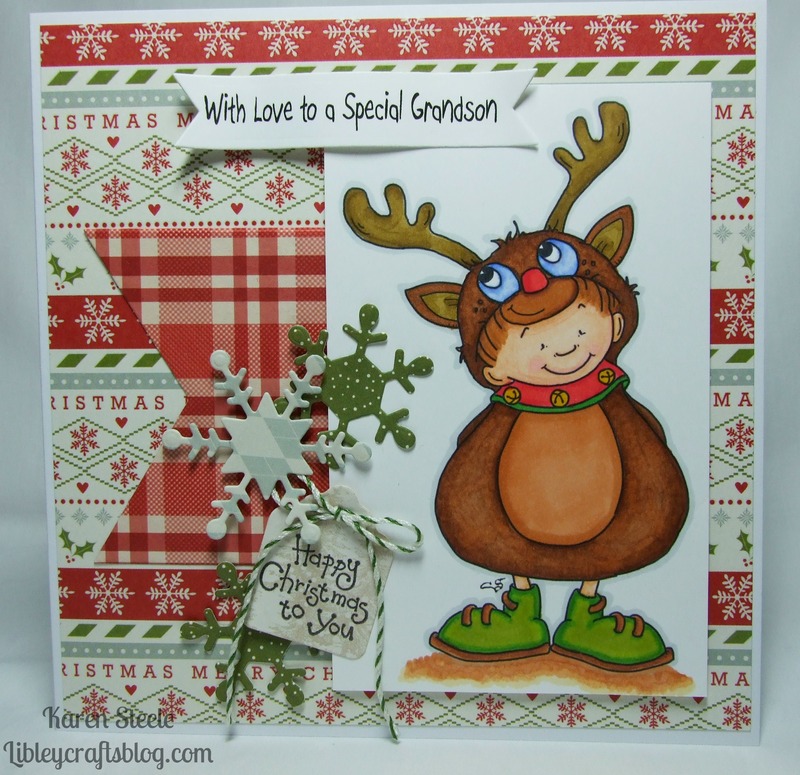 I have also used Marianne Snowflake dies, Spellbinders Tag and Banner die, Sizzix Large Banner Die, Spectrum Noirs to colour, twine and papers from First Edition called ‘Christmas Wishes’. Super duper adorable! Love the papers and that image is too cute!